By “lethal substances” are meant poisonous gases or liquids of such a nature that a very small amount of the gas or of the vapour of the liquid mixed or unmixed with air is dangerous to-life when inhaled. For purposes of this Division, this class includes substances of this nature which are stored under pressure or may generate a pressure if stored in a closed vessel. 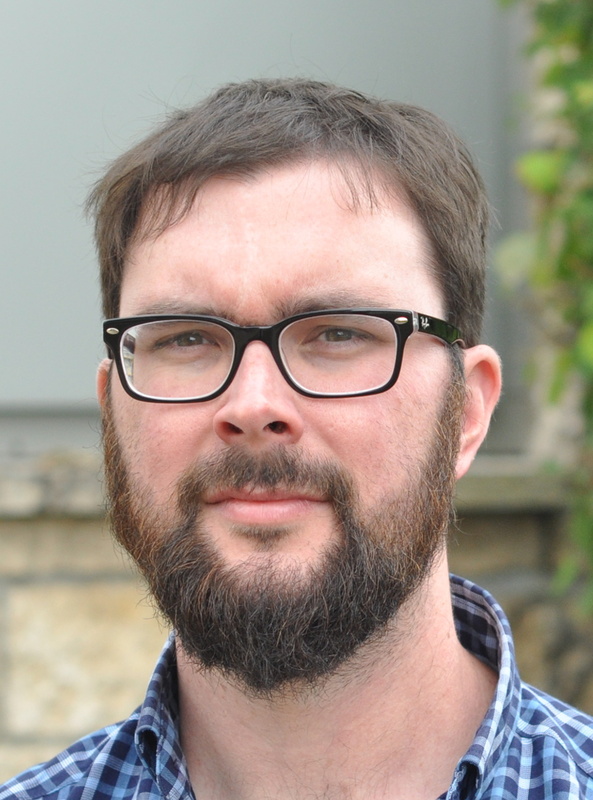 It is up to the user to determine if a service is lethal. We at Pressure Vessel Engineering do not determine if the vessel service is lethal (but we might have opinions based on previous jobs). 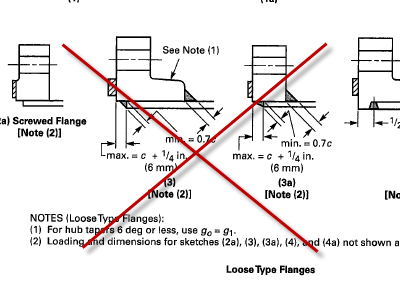 Interpretation VIII-I-98-23 – Category D welds (typically nozzles) shall be full penetration. 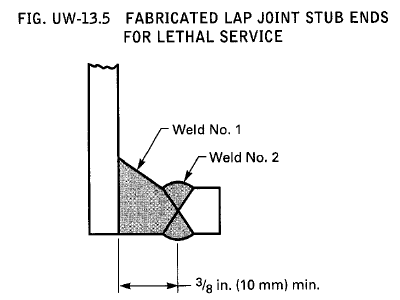 U-2(a)(2) – The user determines if the service is lethal. UG-16(5)(a) – Air cooled and cooling tower heat exchanger tube walls to be 1/16″ min. UG-24(6) – Casting RT requirements. UG-25(e) – No telltale holes. UG-99(g),(k) – Hydro test visual leak inspection cannot be waived. Do not paint or line prior to the hydro test. UG-100(d)(4) – Pneumatic tests cannot be used for lethal service vessels, but also see code cases 2046-2, 2055-2, 2407 regarding pneumatic instead of hydrostatic testing. 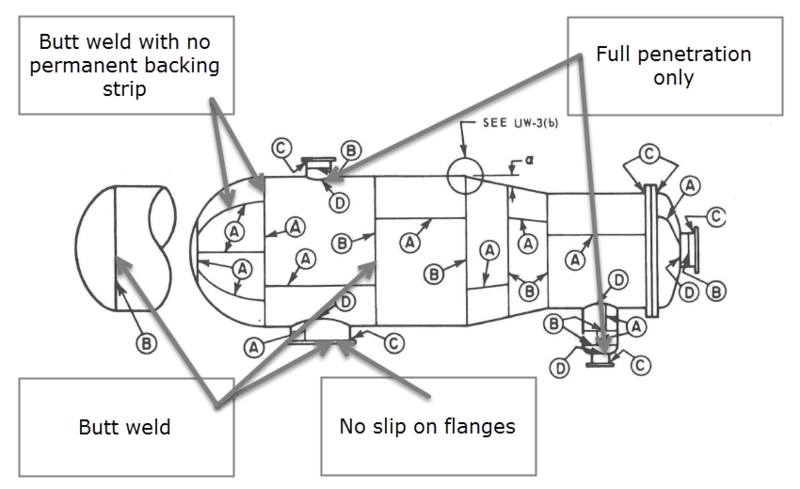 UG-100(e)(3) – Do not paint or line prior to the pneumatic test. UG-116(c) – “L” stamping must be added to the nameplate. UCI-2, UCD-2 Cast iron and ductile cast iron vessels are not allowed. 1750-20(g) – A126 not to be used for PRVs, or rupture disks. With interpretations now available on line at cstools.asme.org/Interpretation/SearchInterpretation.cfm it is now easier to find relevant and up to date interpretations. A search for “BPV Section VIII Div 1” keyword: “lethal” returns many records. The comments on the most interesting lethal service interpretations are listed below. Refer to the actual interpretations for the full text. 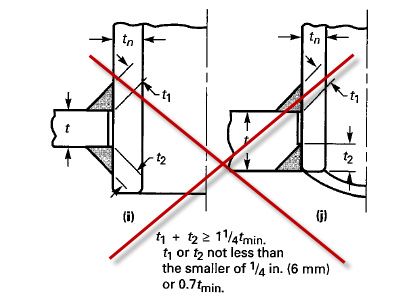 “ASME Section VIII – Division 1 Example Problem Manual” PTB-4-2013 provides illustrative example for the use of VIII-1 rules. E7.1 – RT-1 radiography on a vessel to meet the requirements of lethal service. 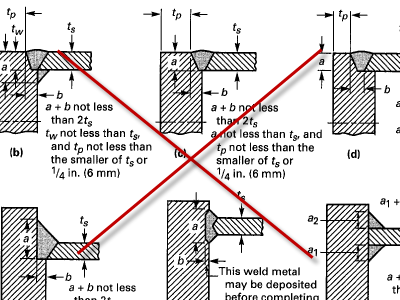 Required radiography to meet RT-1 and the appropriate weld efficiencies are illustrated and commented on. The sample illustrates items like sumps and nozzles that can be exempt from radiography based on size and still maintain the RT-1 rating for the vessel.